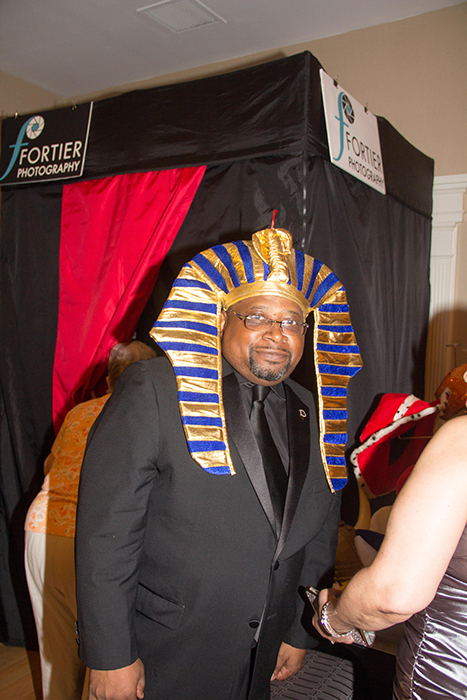 Fun & excitement for all ages – the absolute highlight and “the life” of every party!Impress, entertain and keep your guests laughing all night long! 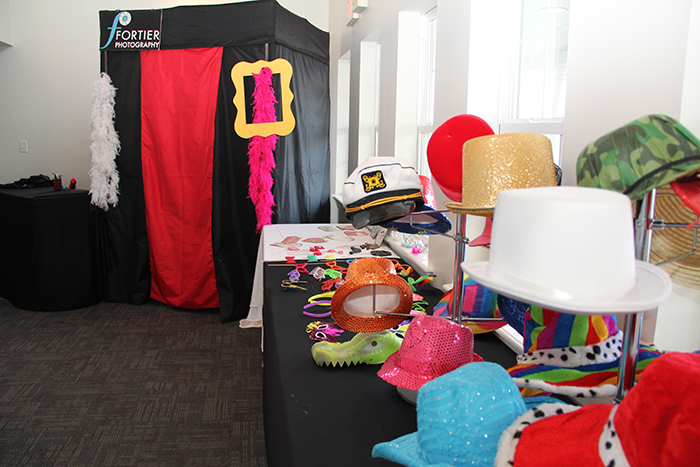 We know you have so many details on your mind when planning your wedding or event, so we strive to make sure your photo booth rental process as simple and convenient as possible. We also pride ourselves on delivering exceptional customer service to ensure that your event is a success from start to finish! 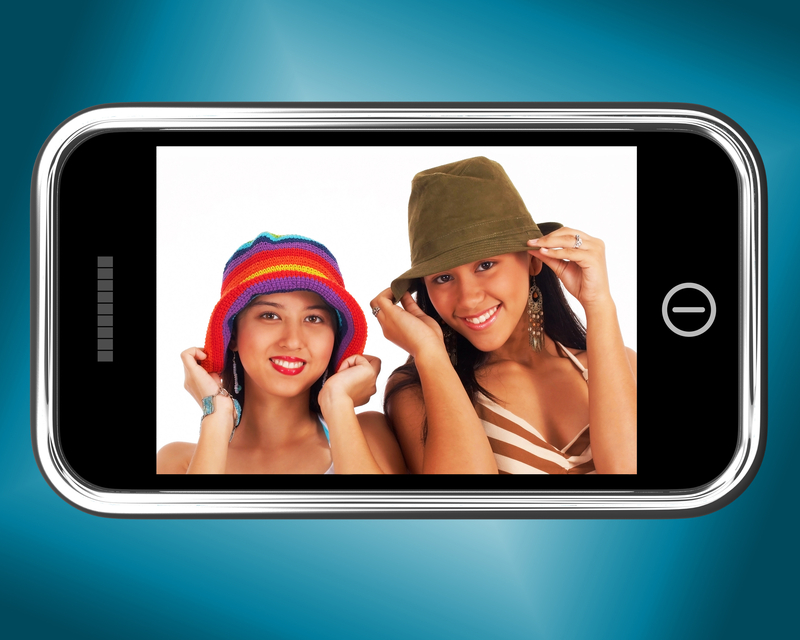 Our social media kiosks uses iPads for your guests to upload images directly to their Facebook, Twitter and Instagram. 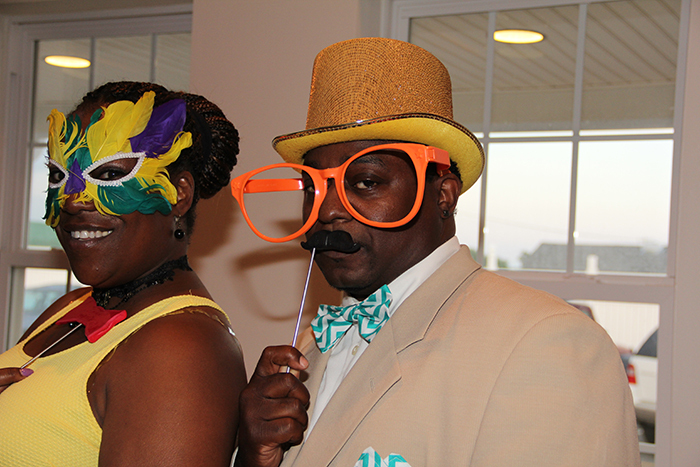 They can “like”, “share”, “tag”, and “comment” how much fun and excitement they are having at your event. 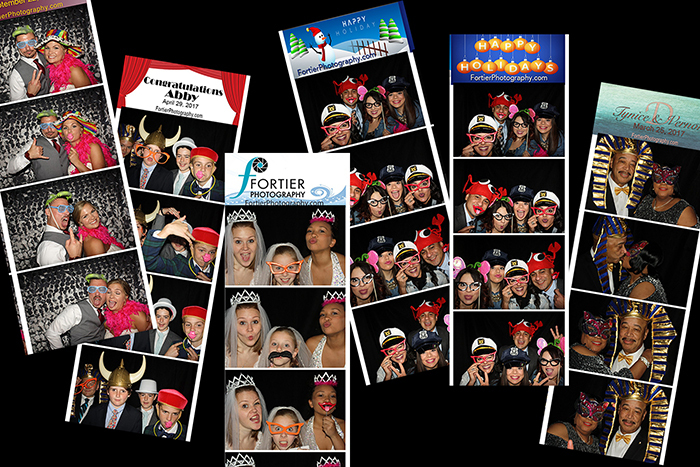 Professional enclosed Photo Booth ~ big enough to hold a crowd! 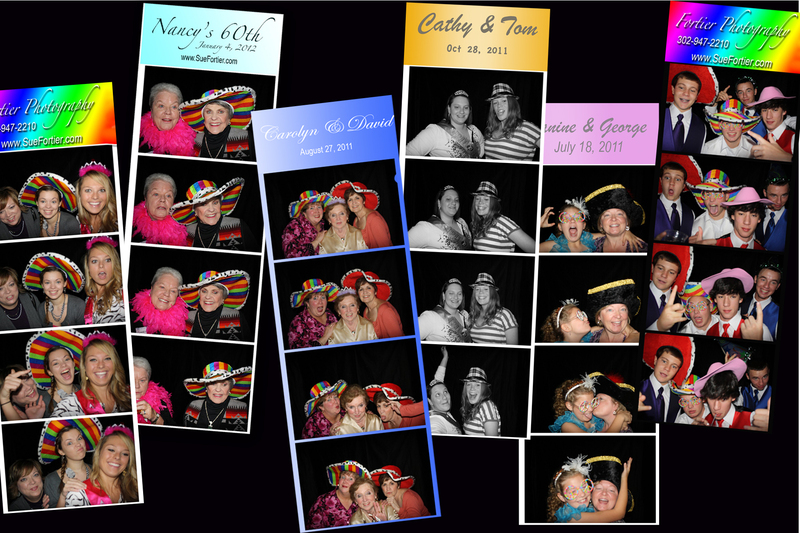 Seconds after your guests exit the booth, our printer begins printing the photos from their session automatically! It takes about 40 seconds for the print to be fully printed, dry and ready to share, but the next group of guests can already be inside the booth getting their pictures taken. We use the highest quality printers on the market so rest assured, your guests will be blown away by the on-site print quality! 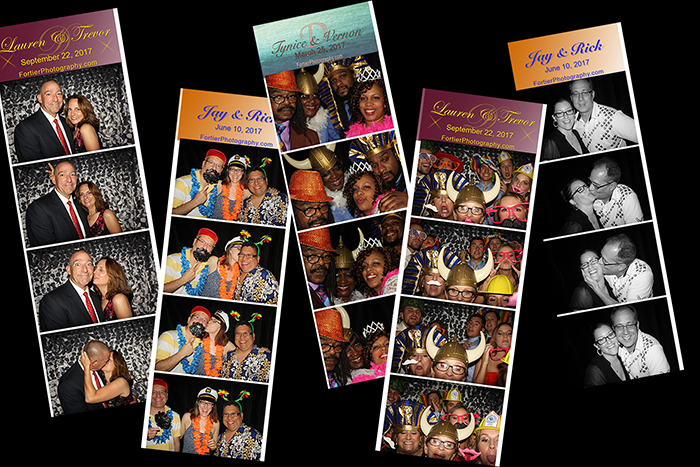 Custom-designed personalized message (or logos) on each photo strip (printed immediately) with the couple’s name & date (or the event title) written in the your specific color scheme to match your theme. A Memory Scrapbook is yours to take home at the day of the wedding/event. 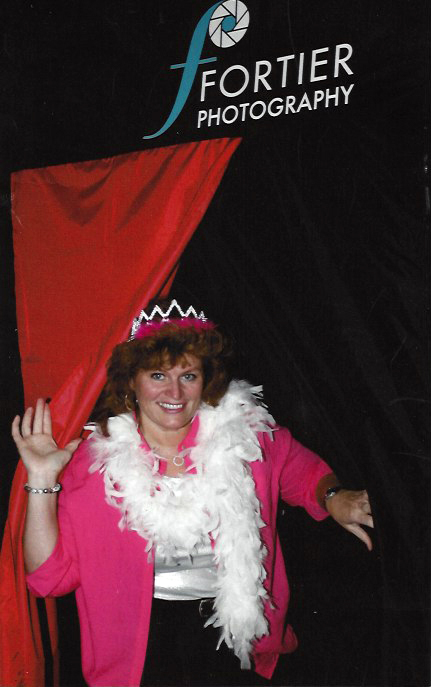 One copy of each image will be in your book; your guests sign and write a “well wishes” message. What a fun book to cherish! 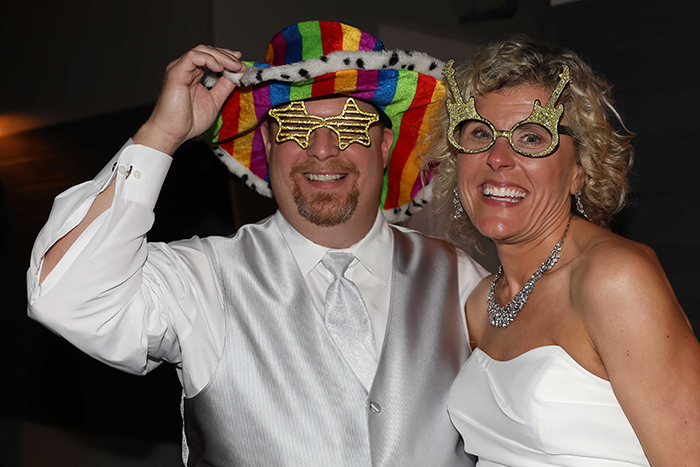 We provide all of our customers with a private web gallery..
You and all of your guests can sign on and view all of your even photos. Additionally we will provide you with a free USB thumb drive, which allows you to download all of the high-resolution images to print and share your pictures whenever and wherever you like. Looking for a unique “favor” for your guests? Add optional frames and you have a favor to give to everyone to take home!